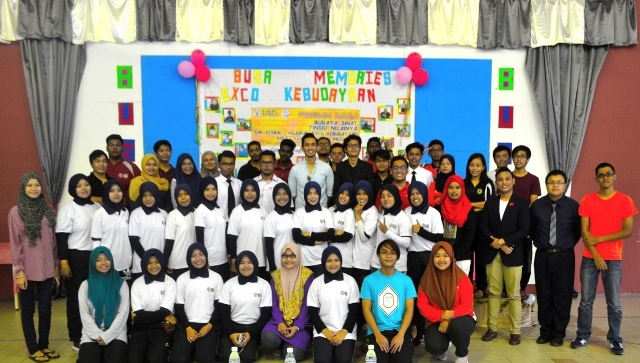 FRIDAY, 22 APRIL – The Culture and Arts Exco, Student Welfare Committee (JAKMAS), Tun Mustapha Residential College (KKTM), Universiti Malaysia Sabah (UMS) recently successfully organised a health awareness programme called ‘Healthy Culture High Value’. The programme held in collaboration with the Faculty of Medicine and Health Sciences (FPSK) UMS and Queen Elizabeth Hospital (QEH) was participated by 150 students from UMS, and was also graced by the presence of Malaysian artiste, Nazrief Nazri. According to the programme director, Muhammad Hamka Hashim, the programme was a continuation of the previous programme, ‘Health is Wealth’ (KANTA). “This time, the activities included performances by buskers and also a free karaoke contest opened to all visitors as a way to attract more public involvement that could help achieve the objectives of the programme in providing awareness on the culture of healthy living,” he said.